Do you wish you had more space in your current pannier? 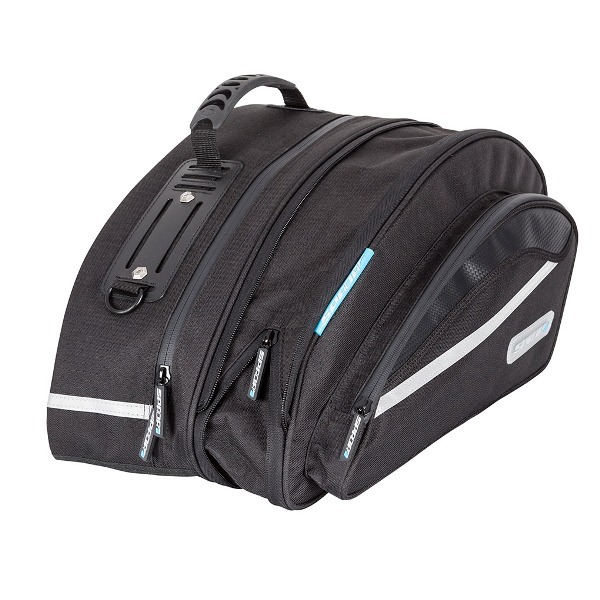 Well if your answer is yes then this expandable sports pannier is what you need in your life. It has a seventeen litres capacity, which can be expanded to 22. It comes with a water resistant outer cover (even the zips are waterproof) and has a heat resistant base. It won’t move on your bike, as it has a heavy duty adjustable polypropylene webbing securing system. Carry straps are also included and you can use it in the dark too as it comes with a reflective stripe for extra visibility.